his week sees the launch of the much anticipated new Audi R8. To announce the latest model, BBH has created a global campaign, which highlights the desirable performance of the hero of the Audi Sport range, its improved power and breathtaking design. The campaign includes a hero 60-second spot, cutdowns and a suite of edits for use on Instagram stories, YouTube and Facebook. 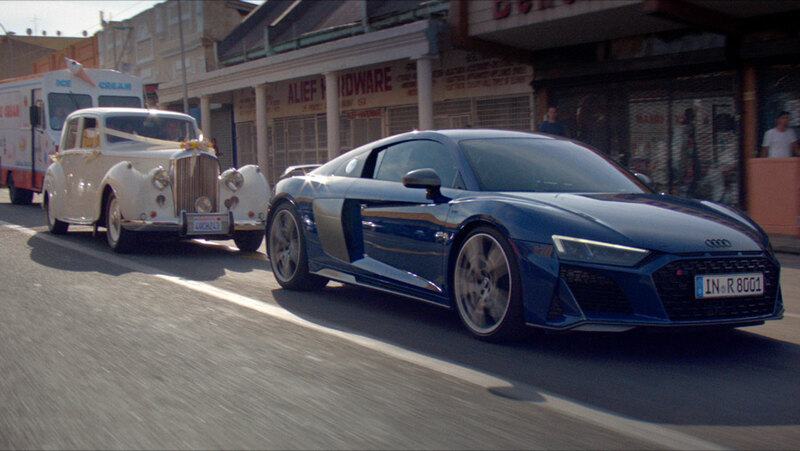 The campaign, shot by acclaimed director Sam Brown, features a range of characters in different vehicles causing havoc as they compete to get a good view of the new Audi R8. Despite the surrounding chaos, the Audi R8 can be seen driving safely and calmly as it navigates unphased through city streets, before driving off into the distance. The ad plays on the idea that the car is not only a pleasure to drive, but is also a pleasure to follow. The film’s soundtrack is a cover of the classic song ‘Close to You’ by The Carpenters. The track was arranged by award winning music producer David Kosten and features the singer-songwriter Reneé Dominique, a 20 year old artist who recently shot to fame with 50 million views on YouTube.